Here is a list of all the files that were changed and added during the course of this project. I used the touch command to create a new empty file /root/TIMESTAMP after installing FreeBSD and before starting the additions and modifications. Then the find command can list the files that were modified or newer. The only changes were to add the acls option to the root file system, and to comment out the line defining /tmp as a 30 MB RAM-based file system, The second change was needed in order to have enough space to manage packages. ## commenting this out, as 30 MB is not large enough for "pkg update". ## leaving /tmp on root file system. I added lines mapping each of the interface IP addresses to the hostname. It should be able to pick this up from Samba, but I've read that something may only read the file. This was changed by tzsetup. Changed and added lines are highlighted. # Nice if you have a network, else annoying. # don't disable unless you know how to run DHCP manually. # for more free memory. As described earlier, I commented out all the lines directing output to files and added a line sending all output to a log collector. See the PAM file changes here. These changes are limited to /usr/local/etc. Those within /usr/local/etc/namedb come from setting up the DNS slave server. The Samba configuration file /usr/local/etc/smb4.conf was created by the domain provisioning step. As described earlier, I manually added the log file line to the file. The directory /var/db/samba4 was empty after installing the Samba package. Now it has a hierarchy of directories and files, plus sockets while running. The lock files in msg.lock/ and the directory msg.sock/ and its contents only exist while the server is running. The files *.tdb and *.ldb are TDB database version 6 files. 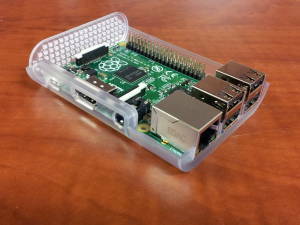 Raspberry Pi running BIND and Samba, a full Active Directory domain controller.